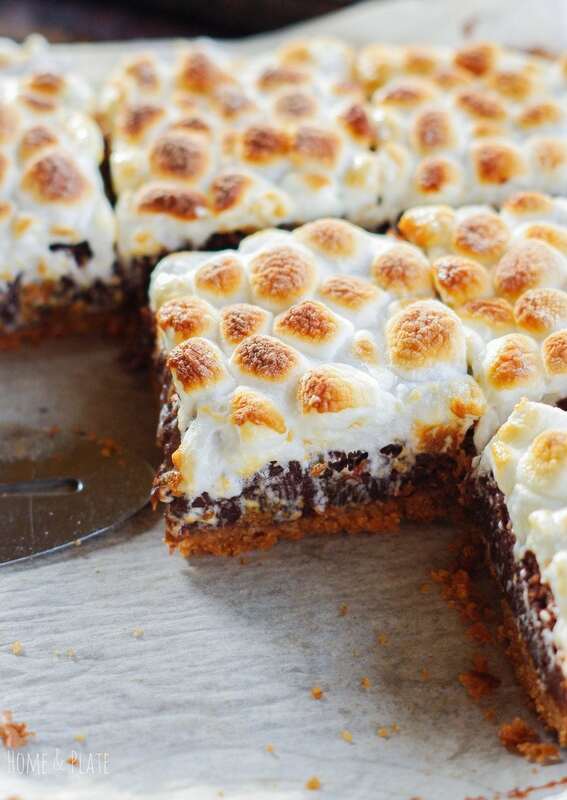 S’mores Brownie Bars – everything you love about a traditional smore including graham crackers, chocolate and ooey gooey marshmallows. No fire required! Just because it’s cold outside doesn’t mean you can’t enjoy a summer favorite year round. 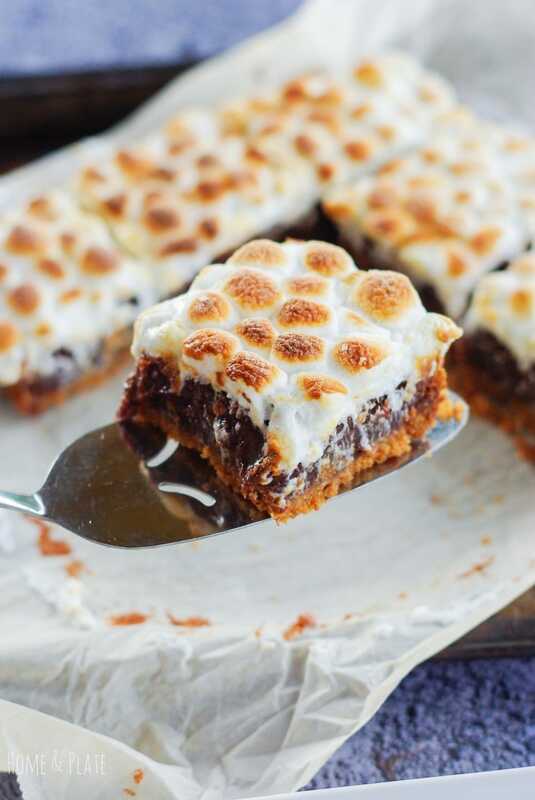 My s’mores brownie bars are the perfect year-round bonfire treat. No fire needed with this recipe. You don’t need sticks either! We will be making these s’mores in the oven. These brownie bars are as close to s’mores as you can get. They include the necessary graham crackers, milk chocolate and marshmallows that make this dessert a summer favorite. But they can be served year round, even when there’s snow on the ground. These chocolatey and chewy brownies sit on a crumbled layer of honey graham crackers and are topped with ooey-gooey toasted marshmallows. Making these brownie bars couldn’t be simpler. This is an easy recipe to bring to any party or barbecue. Crush about 24 graham cracker squares in a plastic zipped bag using a rolling pin. You want to use a sheet of parchment paper or oiled aluminum foil in the bottom of a brownie pan to make removing the brownies from the pan easy. Speaking of easy, pick up a box of your favorite milk chocolate brownie mix to keep things simple. Or follow my recipe for homemade brownies. When browning the marshmallows keep a close eye on them so that they don’t burn. When slicing the cooled brownies, spray a knife with cooking spray beforehand to keep things from sticking and to keep your brownies looking pretty. Like the real thing. Only easier! S'mores Brownie Bars - everything you love about a traditional smore including graham crackers, chocolate and ooey gooey marshmallows. No fire required! Preheat the oven to 350°F. 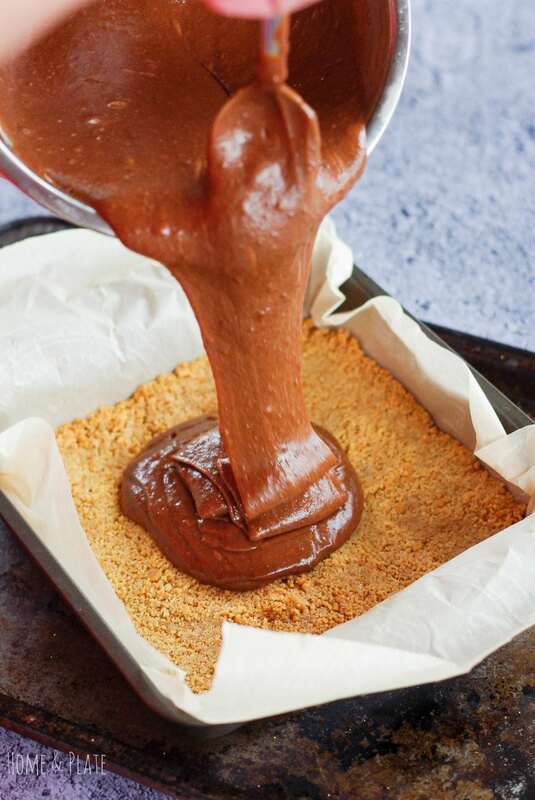 Prepare the graham cracker crust by mixing them together the crumbs, butter and sugar. Place a sheet of parchment paper in the bottom of a 9 x 9 square brownie pan. 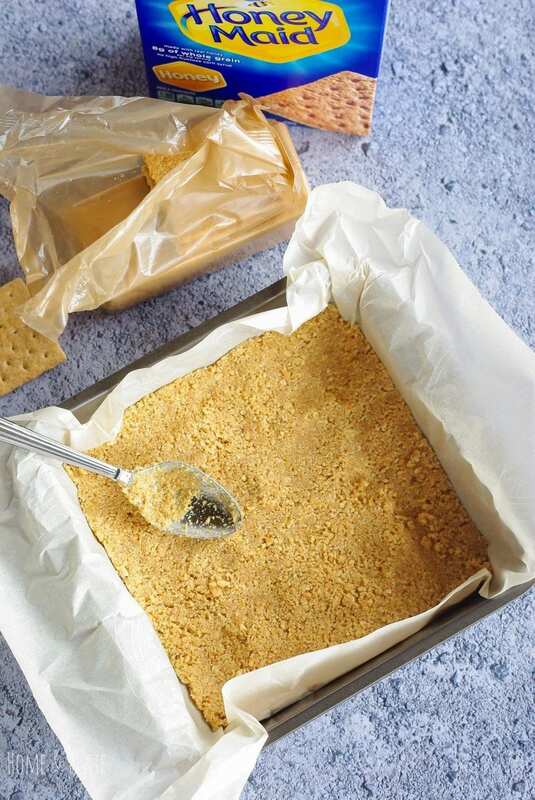 Press the graham cracker crumbs into the bottom of the pan on top of the parchment. Pour the brownie batter on top of the graham cracker crust and return the pan to the oven for 40 to 45 minutes or until the brownies have finished cooking. 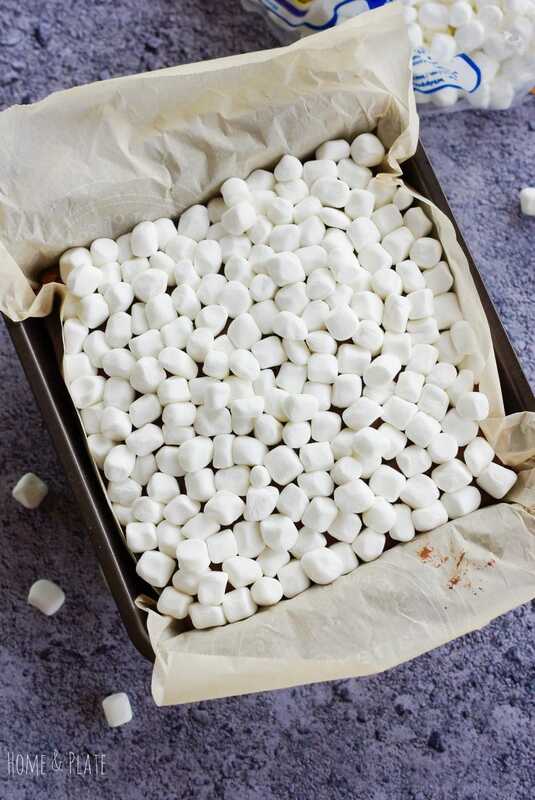 Remove the brownies and add enough mini marshmallows on top to completely cover the brownies. Switch your oven to the broil function. Place the brownie pan in the oven with the door slightly ajar. The marshmallows will begin to brown very quickly, within a minute, so stay close to the oven and remove the pan from the stove to prevent burning. Allow the brownies to cool completely. Spray a sharp knife with cooking spray before slicing the brownies into bars. "description": "Everything you love about a traditional s'more including graham crackers, chocolate and ooey gooey marshmallows. No fire required! 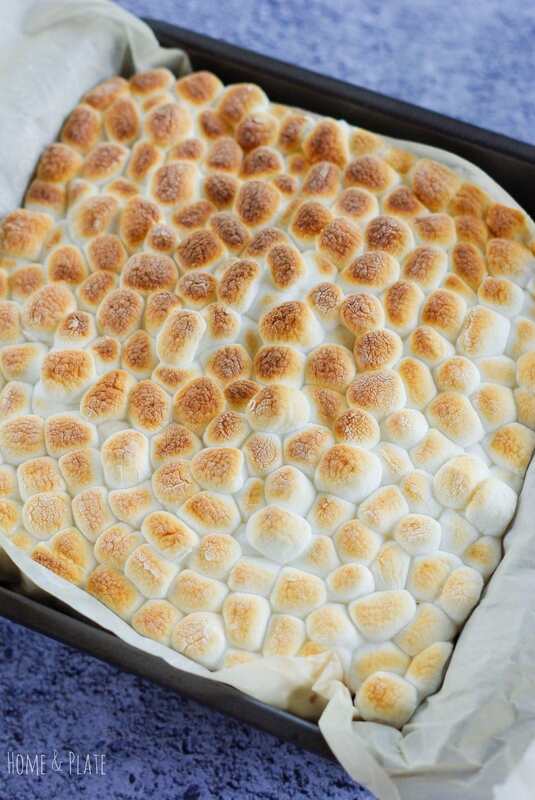 ", "recipeIngredient": [ "1 1/2 cup graham cracker crumbs", " 3 tablespoons sugar", " 1/3 cup melted butter", " 1 box of brownie mix (plus required ingredients) ", " 1 bag of mini marshmallows" ], "recipeInstructions": "Preheat the oven to 350°F. Prepare the graham cracker crust by mixing them together the crumbs, butter and sugar. What a fun idea! We always have to make S’mores in the summer, this is such a great idea to change it up a little! It’s a great alternative for winter. Who doesn’t love Smore’s. Brownies and s’mores, am I in heaven? 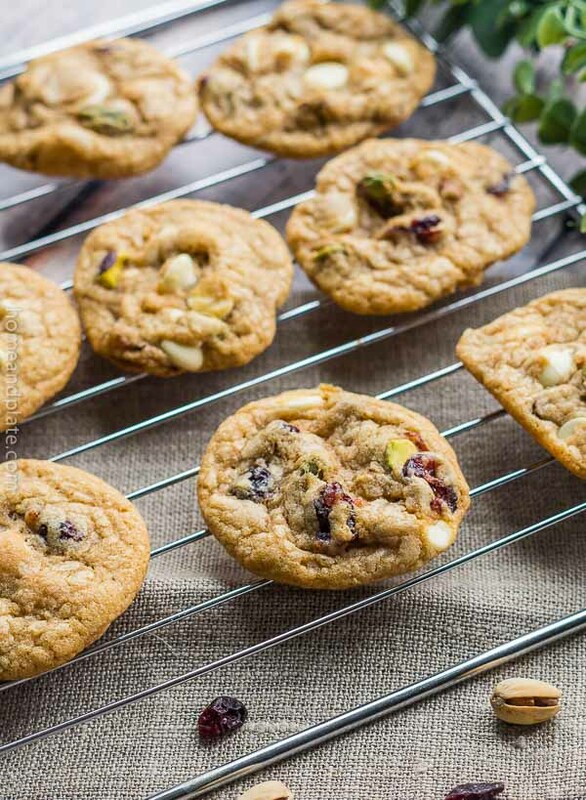 This is such a good idea and I bet they taste so good! They are a family favorite. And they go quickly which is always a good thing. Yes, naughty and nice and dessert heaven is right. 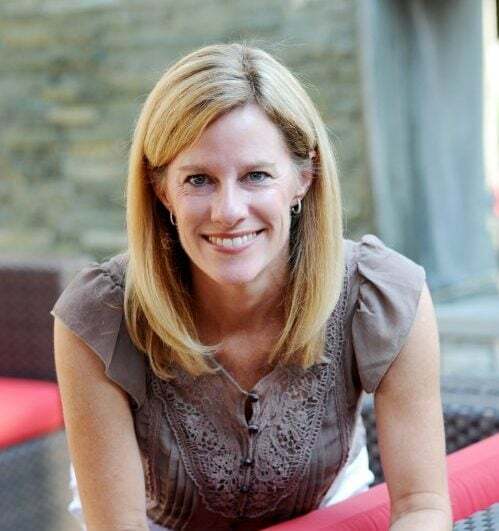 Thanks Katrin.